The 2016 season turned out to be a tumultuous one for the women's tour. With plenty of shock exits and unexpected results, it was a year of upheaval and transition. 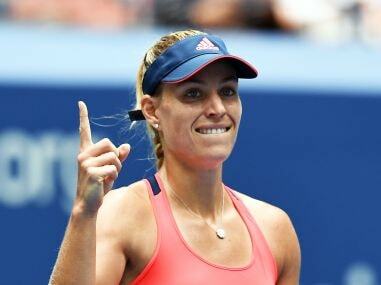 Serena Williams was upstaged by Angelique Kerber, who ultimately replaced her at the top of the women's rankings. Kerber's dramatic rise was the biggest narrative of 2016, but there were other feel-good stories that made the year memorable. The whirlwind ten months saw improved performances from Dominika Cibulkova, Karolina Pliskova, Madison Keys and Johanna Konta, as they made their entry into the top 10 for the very first time. Here's a look back at the year that was for women's tennis. 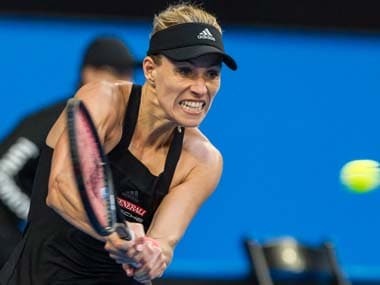 When the 2016 Australian Open started, Kerber saw herself battling a match point in the very first round. Ranked at No 10 in January, very few would have predicted that her career would skyrocket over the course of the season. The German not only saved the match point to eventually defeat Misaki Doi, but went on to win the whole damn thing. In one of the earliest shocks of the season, Kerber outlasted defending champion Serena Williams 6-4, 3-6, 6-4 to lift her first major trophy at the age of 28. A late bloomer, Kerber was determined to prove that the Melbourne victory was no fluke and reached the finals of Wimbledon. This time around, Serena got the better of her. Kerber’s breakthrough year continued as she clinched the silver at the Rio Olympics. At the US Open, she knocked Serena off her perch again and won her second major, becoming the first female player since Martina Hingis in 1997 to win two hard court majors in the same calendar year. A Grand Slam title, two major finals and a win percentage of 86 would make for an impressive year for any player. But not Serena Williams. By her own lofty standards, the American had a disappointing season in 2016. Four of her six losses came to players outside the top 10 and a third-round exit at the Rio Olympics was definitely one of her low points. After reigning for 186 weeks at the top of women’s tennis, she was dethroned by Kerber in September. However, even in a sub-standard season, Serena created history on her beloved grass courts at Wimbledon. She finally lifted that elusive 22nd major trophy, equalling the Open era record set by Steffi Graf. Her straight-sets win over Kerber showed that even at the age of 34, Serena is a force to be reckoned with. Post her US Open loss in the semi-finals, Serena did not play any other match due to fitness concerns. While many have questioned her motivation at this stage of her career, come January she will be raring to compete once again. If fully fit, she will no doubt be the favourite to regain the title in Melbourne. The Spaniard started 2016 ranked third in the world and was considered as the biggest talent to watch out for on the women’s tour. Her season, however, turned out to be an inconsistent mess with just one bright spark – Roland Garros. Over the two weeks on the red clay courts, Muguruza peaked and played an aggressive brand of tennis. She powered past Serena in the championship match, beating her 7-5, 6-4 to win her first Grand Slam title. But she failed to replicate the same form at any other tournament and didn't advance past the third round at the remaining three majors. She also didn't reach a WTA final in 2016, only managing two semifinal appearances at Rome and Cincinnati. The 23-year-old ended the year at a disappointing No 7 and will be hoping to add some much-needed consistency to her game in 2017. Despite missing some big names, the Rio Olympics gave us one of the best weeks of tennis in the entire year, and an emotional surprise ending. Puerto Rican Monica Puig started her year with one goal – to represent her country at the Olympics. 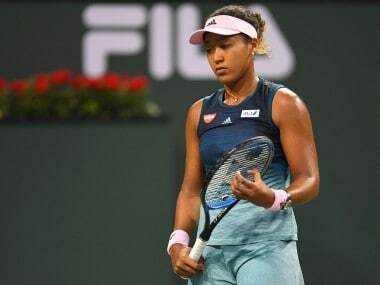 She fought tooth and nail to garner enough points to qualify for the quadrennial sporting event – she rose from a lowly 92nd to 34th in the WTA rankings to make the cut. Just before the Olympic Games, Puig adopted a pet dog and named it 'Rio', hoping it would bring her luck in Brazil. The unseeded 22-year-old demolished Muguruza in round three, and then followed it with a gutsy three-set win over 11th seed Petra Kvitova in the semi-finals. In the final, she capped off a magical week with a roller coaster 6-4, 4-6, 6-1 victory over Kerber. Puig not only made her dream come true, she also made Olympic history for Puerto Rico, becoming the island's first ever gold medallist. Kvitova joined Puig and Kerber on the podium, fighting off big-hitter Madison Keys to clinch the bronze. In a sport that drives individual achievements, the Rio Olympics gave us a rare glimpse of patriotic spirit. While Puig’s Olympic glory was definitely the most inspiring story to emerge from the season gone by, there were a few other players that stunned fans and critics alike in their own different ways. First up – Dominika Cibulkova, the WTA Comeback Player of 2016. The Slovakian climbed spots in the rankings to finish at a career-high No 5. She slogged and impressed on almost every surface – she reached the finals at Acapulco (outdoor hardcourts), Madrid (clay) and Wuhan (outdoor hard) and won at Katowice (indoor hard), Eastbourne (grass), and Linz (indoor hard). Cibulkova lifted the biggest title of her career at the WTA Finals in Singapore, beating a red-hot Kerber in the championship match. Johanna Konta was another surprise package, as she finished the year in the top 10 becoming the first female British player to achieve the feat since Jo Durie in 1983. Konta won her first WTA title at Stanford and also recorded seven victories against top-10 opponents. Honourable mention goes out to Caroline Wozniacki for her unexpected late season surge, which saw her return to the top 20 with two titles. While 2016 had its fair share of twists and turns, the WTA tour missed two of its most competitive and consistent performers for large parts of the year. Grand Slam champions Victoria Azarenka and Maria Sharapova ended up not playing for months at stretch, albeit for very different reasons. Azarenka got off to a brilliant start, winning in emphatic style at Brisbane. She continued that run in North America, lifting trophies at Indian Wells and Miami, becoming the first woman in over a decade to clinch the elusive "Sunshine Double." But after the clay court swing, Azarenka announced that she was putting an end to her season as she was pregnant with her first child. She gave birth to a baby boy just days ago, but is already planning to return to the sport in 2017. Sharapova, on the other hand, only played at the Australian Open in 2016, losing to Serena in the quarter-final. In March, she revealed that she had been tested positive for meldonium, a drug for heart conditions that has been banned by the World Anti-Doping Agency. The announcement sent shock waves through the world of tennis, and divided opinion between players, organisers, sponsors and fans. She was handed a two-year ban, which was subsequently reduced to 15 months by the Court of Arbitration for Sport. The Russian will be able to return to the tennis court on 26 April, 2017. Sexism in tennis reared its ugly head again in 2016 at Indian Wells when tournament director Raymond Moore said women's players "ride the coattails of the men" during a news conference before the women's final. "If I was a lady player, I'd go down every night on my knees and thank God that Roger Federer and Rafa Nadal were born because they have carried this sport. They really have," he said on record. His comments drew flak from most of the tennis community, with female tennis players ripping him apart for his tasteless remarks. He subsequently apologised and resigned a day later but the damage was done. His words opened a Pandora's Box and equal prize money became a topic of debate again, almost undoing the years of endeavour since the days of Billy Jean King and Co. The WTA ended the season in a state of flux, with questions still hanging over television rights and prize money on lower rungs of the tour. While the WTA is looking to implement a new multi-million dollar deal, the increasing disparity between the men's and women's tour could harm the sport in the long run. Here's hoping that in 2017, it's the on-court action that makes headlines.